Yes. 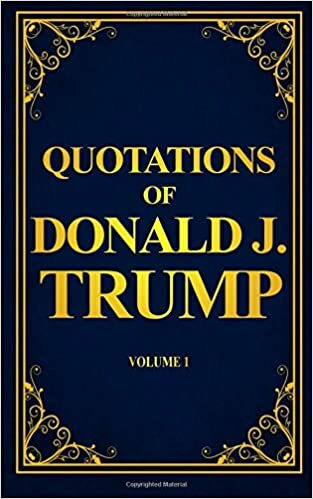 Quotations of Donald J. Trump is a compilation of things that were actually said in his own “best words” in interviews, or as a candidate or even as president of the United States of America! Keep one handy in your pocket, purse, briefcase or backpack… just in case. Just in case. You’ll know when you need it, be it when you’re at work or school, at a party or social gathering. Maybe a rally! Have a chuckle, or a giggle, or a laugh courtesy of the Donald. It will help. Many thanks to my dear friend and editor Karin Carlson. Make sure to visit our Blog to find a couple of teasers about what you will find in the book.